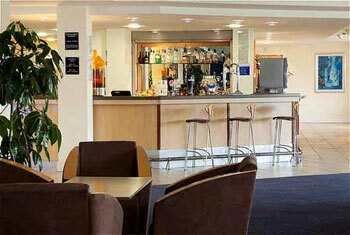 We have quality airport hotels in Cardiff with brilliant value prices. Our 3-star Cardiff hotels are clean and comfortable with everything you need for a great nights sleep before your flight. You neednt worry about the early wake up call or morning traffic - by booking one of our affordable airport hotels in Cardiff, you can wake up with only a short transfer before you fly. Make your journey as relaxing as the holiday itself by booking your airport hotel in advance. We have two 3-star Cardiff hotels - the Sky Plaza hotel Cardiff airport and the Holiday Inn Express Cardiff airport. Parking packages of up to eight or 15 days can also be included with your booking. 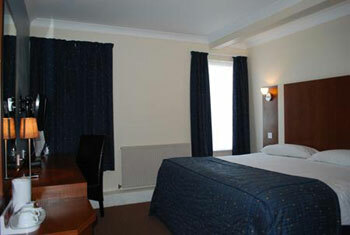 This hotel offers great accommodation at reasonable prices less than a mile from Cardiff airport. All rooms at the Sky Plaza hotel are en suite and contain a hairdryer, satellite TV, internet access, a telephone, desk and tea and coffee making facilities. The hotels Spice Restaurant and Grill is open from 7am to 9.30am daily and serves a free continental breakfast. Enjoy delicious meals at your leisure, with lunch available from noon to 3pm and dinner from 5pm to 10.30pm. Rooms can be booked for the night or you can combine a room with a parking package if youre travelling to the hotel by car. Secure parking is provided right next to the hotel by Airparks Cardiff and 24-hour transfers are included. The Holiday Inn Express chain of hotels is known for its convenience and great value rooms. Rooms are en suite with a power shower and include a TV with satellite and pay-per-view movies, internet connector, a telephone, desk, iron and ironing board and tea and coffee making facilities. A free hot breakfast is available daily from 4am to 9.30am before you make the short trip to the airport. The terminal is less than half a mile away and 24-hour transfers to and from the airport are included in the price. Parking packages can be added as an optional extra for up to eight or 15 days, so you can rest assured that your car will be safe and secure whilst youre away.